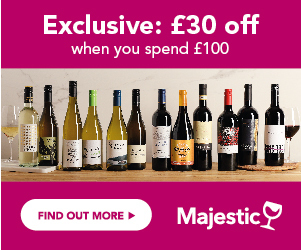 Compare the latest offers on Vina Albali wines from top UK merchants and supermarkets. Find the best pick by refining your search with filters. Have a look at awards and reviews to balance both price and quality. Sign up for Price Alerts to never miss a discount on your favourite bottle. Vina Albali is a Spanish wine brand created by the very famous international wine group Felix Solis. Situated in Valdepenas, in central Spain, they produce a range of red, white and rose wines, all bearing the D.O Valdepenas (Denominacion de Origen in Spanish). The range has two whites, one Verdejo and one semi-sweet; one rose made from Tempranillo; and seven reds with one Tempranillo, a Crianza, two Reserva and higher range Gran Reserva wines. They also produce a special range called Castillo de Menara with a red, a white and a red Reserva. Another range called 'Casa Albali' was also created with one white, one rose and four reds.